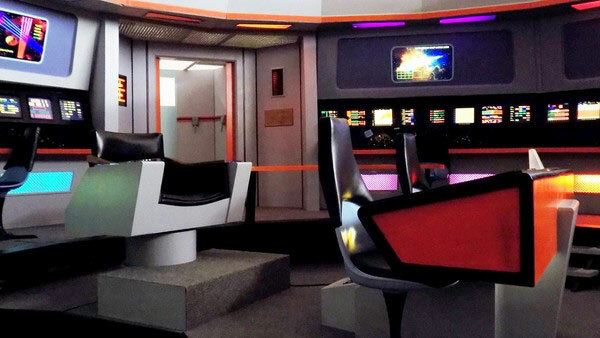 TICONDEROGA, NY, July 14, 2016 – Star Trek super-fan James Cawley is honoring the 50th anniversary of the iconic franchise with the opening of his meticulously designed Star Trek: The Original Series set tour. Located in historic Ticonderoga, New York and under license by CBS Consumer Products, the set tour brings memories to life by allowing fans to boldly go and tour the sets of the legendary Starship Enterprise. Recreated exactly as they were laid out on the “Desilu” (now Paramount Pictures) Stage 9 in Hollywood for the original run of Star Trek, guests will be able to step onto the soundstage and be transported directly back to 1966. Starting this July, visitors can receive guided tours, photo opportunities and an immersive experience into the world of the classic television series. 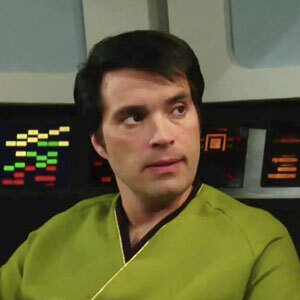 A true franchise fan, Cawley began creating the sets in 1997 after receiving a copy of the original set blueprints from Star Trek: The Original Series TOS costume designer William Ware Theiss. From there he spent 15 years researching, crafting, and refining his set replicas alongside other dedicated fans and craftspeople. Cawley was joined on the project by Star Trek alumni and fellow fans including prop fabricator Ed Miarecki and concept designer and SFX supervisor Daren R. Dochterman. Studying stills and frame captures from the series and sourcing vintage materials and antiques, Cawley ensured even the smallest details were accurately and lovingly reproduced including an array of props and set decorations. The result is a stunning achievement offering the most complete and accurate reproduction of the original standing sets from Star Trek: The Original Series. CBS Consumer Products manages worldwide licensing and merchandising for a diverse slate of television brands and series from CBS, CBS Television Studios and CBS Television Distribution, as well as from the company’s extensive library of titles, Showtime and CBS Films. Additionally, the group oversees online sales of programming merchandise. For more information, visit www.cbsconsumerproducts.com.